Does anyone have a pump they want to sell or trade for? 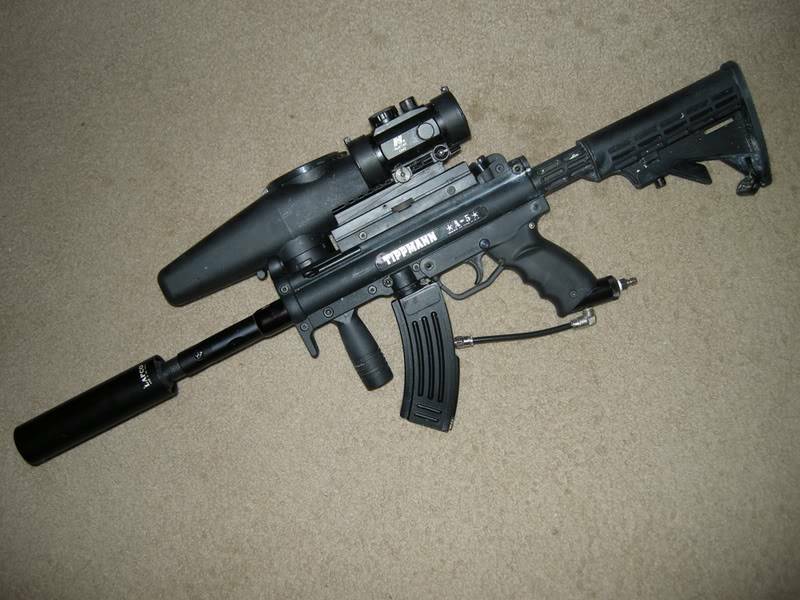 I'd like to get a nicely upgraded Phantom or something of the like for my Tippmann A5. You won't find them anywhere... well maybe on the black market. You'll have to make your own or find someone that will sell it to you and hopefully not report you to the ATF. If you want to do it legally you have to pay a $200 fee to our lovely government, just so if you kill somebody with it they can say they made money off of it. Alright guys, my A5 is officially for sale. I'm asking for 220, but I'll consider offers. hahaha, just getting interest and finding out what my options are thats all. I'm sticking with you Robert! I'm at your disposal here when it comes to these matters. Well if you try it and think you will like it, I may have a buyer for your A-5. Outstanding! I'm really excited. What do you have for me to try today? 4-different Phantoms, a Tippman SL-68 and SL-68 II, a PGP and PGP2k, a 2003 Autococker Sniper, an Autococker Trillogy pump, a PMS Brute and just to round things out a pump Automag... And I think that is it. And I never got a chance to pick up one of your PMI-1's that you always seem to have. Hey Chris, I was thinking about it and I will give you the $250 you are asking for on Craigslist. Or I have a black, back bottle Phantom with a 14" barrel to trade for it. Just let me know when I can pick it up! Robert, the A5 is gone. I dropped it off today.